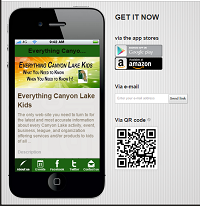 The Everything Canyon Lake Kids Mobile App for your smartphone or tablet is here!! 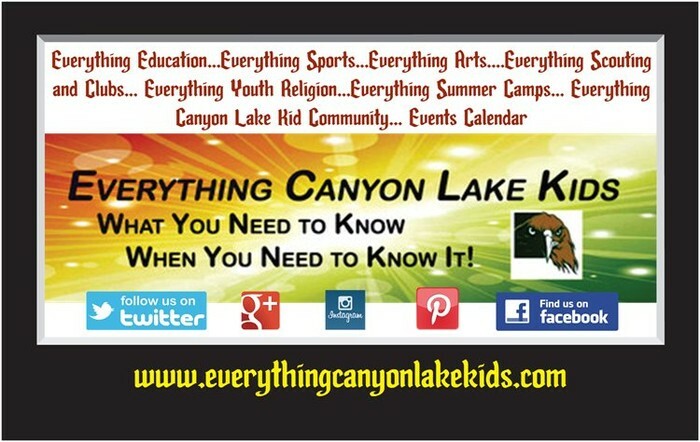 Holiday Happenings Near the Lake! Free event celebrating the spirit of the season in Historic Downtown New Braunfels. The day after Thanksgiving, SA Riverwalk river parade kicks off the holidays as decorated floats wind through the river in one of the country's only nighttime river parades. Seasonal ice skating in the Texas Hill Country to raise funds for the Heritage School and Cystic Fibrosis. All day pass includes skate rental. $10 per person per day. Stroll a walking path with more than 100 lighted exhibits Roast a marshmallows at the Yule Log and listen to live entertainment on most nights. Admission is free. December 4th 6 - 9 p.m.
An evening of music, fun food, great shopping, thousands of twinkling holiday lights and, of course - lots of free wassail for you to sample! Parade will begin at 6:30 pm with a holiday-themed Laser Light Show. The festival is free-featureing arts & crafts and family entertainment Santa Claus and Mrs. Claus free photos in sleigh, children's activity area where kids can make free Christmas projects and play on the large inflatable slide. More Holiday Happenings near the Lake! Watch as Cowboy Kringle rides into town on horseback and lights Gruene for the Holidays.Celebrating with live musical performances with festival food and wine available for purchase. An extravaganza of Christmas activities. Night time train and hay rides with forty acre site decorated, Visit with Choo Choo Claus!! Hope Hospice Tree Lighting Ceremony at CRRC. CLHS JROTC will be the Honor Guard. This year's ceremony will honor of Comelia Mason, local mom and friend battling brain cancer. 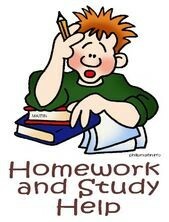 December.11 - 13 AND 18-20,from 6-9 pm. Follow the lights to Wimberley for an old-timey festival with tents, food, and live music for the whole family. Santa arrives at six to hear wishes. Check out the NEW Resolute Wellness & Aquatics Center! Everything Canyon Lake Kids is proud to announce a partnership with Resolute Health! The Resolute Health Wellness Campus, Urgent Care clinics, primary care and specialist physician offices and health and wellness community programs all provide access to the tools you need to get or stay healthy.